One of the best ways to find quality children’s books in Spanish is to search online stores by publisher. Candlewick Press is an independent children’s publisher with some of the highest-quality picture books available. They publish a wide selection of bilingual books and books in Spanish. Candlewick Press publishes Spanish editions of favorites like the Maisy and Judy Moody and award-winning books for all ages. Browse Bilingual and Non-English titles from Candlewick Press to find many beautiful books to share with your children and students. Titles from Candlewick Press are available to purchase everywhere, including directly from the publisher. These four books are some of my favorites for children of different ages. They are all wonderful choices for native speakers, and can also be used successfully with Spanish learners. 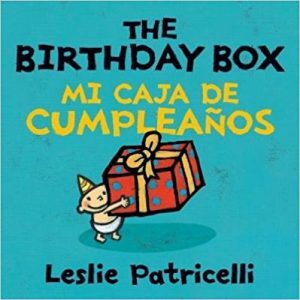 This board book is perfect for young Spanish learners. The very focused subject – playing with a box – makes the simple text easy to understand. In addition, children can act out the story to reinforce the language in the book. It is an excellent Spanish learning experience! 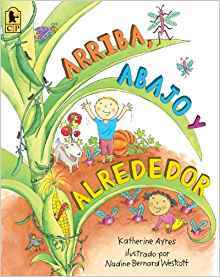 This book is a wonderful introduction to how plants grow and the concepts of arriba, abajo y alrededor. It is full of vegetable vocabulary in a wonderful rhyming text. The detailed illustrations, crawling with bugs of all kinds, will fascinate children and give you lots of opportunity to talk about insects in Spanish. This book is an excellent example of how culture can be conveyed through literature. The storyline is straightforward, but set in the complex reality of a divided immigrant family. It portrays the importance of family on several levels and includes many cultural elements to talk about with Spanish learners. 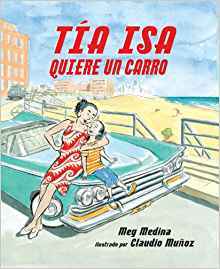 Tía Isa quiere un carro has a wider range of vocabulary and more text than many picture books, but it is certainly accessible to children learning Spanish if they are given support. 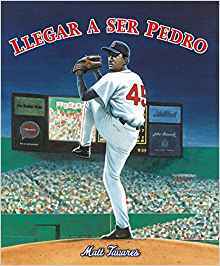 This book tells the story of baseball superstar Pedro Martinez. It takes readers from his childhood home in the Dominican Republic and tells how he and his brother reached the major leagues. It is a wonderful, inspiring story that will appeal than baseball fans. The book has a significant amount of text, with the to-be-expected baseball terminology. However, the sentence structure is not complicated and there is very little descriptive language. 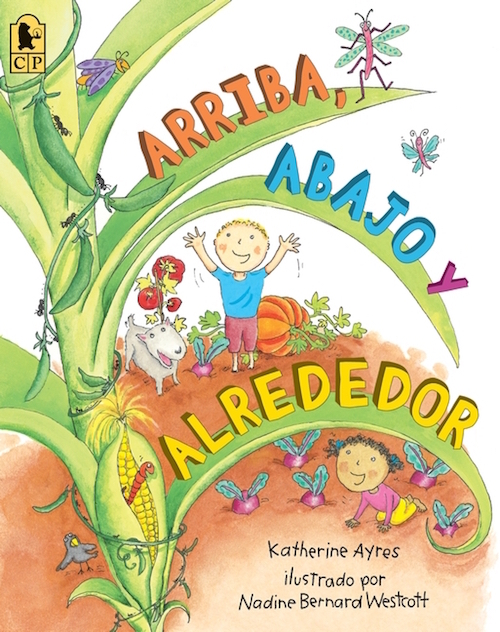 This makes the story an excellent choice for Spanish learners with a solid base in the language. Disclosure: The company sent me a copy of the product to be able to write the article. I may have been compensated for my time. All of the ideas and opinions are my own.